Welcome to your new home! There is a pride of ownership when you access this second floor condo which has been completely updated with granite counter tops, engineered hardwood flooring, ceramic tile, stainless steel appliances, backsplash in the kitchen with breakfast bar, ceiling fans and more! The floor plan has no wasted space giving this condo a much bigger feel and has the washer/dryer in unit! Access the balcony and enjoy your morning coffee in privacy. Enjoy the amenities that include the pool, tennis courts and walking paths. This unit has covered parking and plenty of guest parking as well. 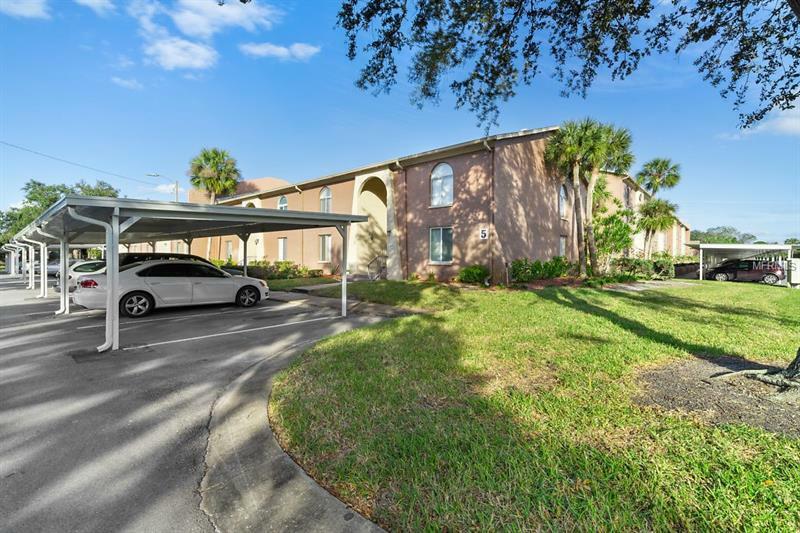 Centrally located between downtown Tampa and downtown St. Petersburg with quick access to bridges and interstates as well as city attractions that include shopping, restaurants and more. Copyright © 2019 Mid Florida MLS. All rights reserved. The data relating to real estate for sale on this web site comes in part from the Internet Data Exchange Program of Mid Florida MLS. Information provided is for consumer's personal, non-commercial use and may not be used for any purpose other than to identify prospective properties consumers may be interested in purchasing. McBride Kelly & Associates Realty participates in the MFRMLS Internet Data Exchange (IDX) program, allowing display of other MFRMLS broker's listings on this site. However may not include all listings currently available. Information is deemed reliable but not guaranteed. Information last updated at 2019-04-23 20:55:38.